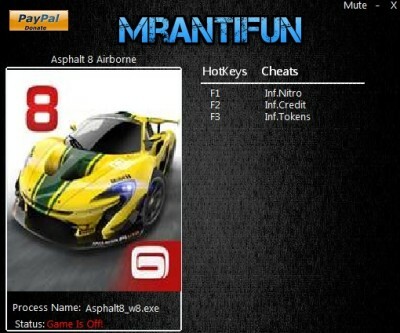 In this article you can download Asphalt 8 Airborne cheats. This trainer +3 has been created by MrAntiFun for game version 2.6.0.6. All cheats on our site you can download without registration, so this hack available for download free. With this trainer you will get the advantage in your game. But first, a bit of information about the game. Asphalt 8: Airborne is a racing video game developed and published by Gameloft. 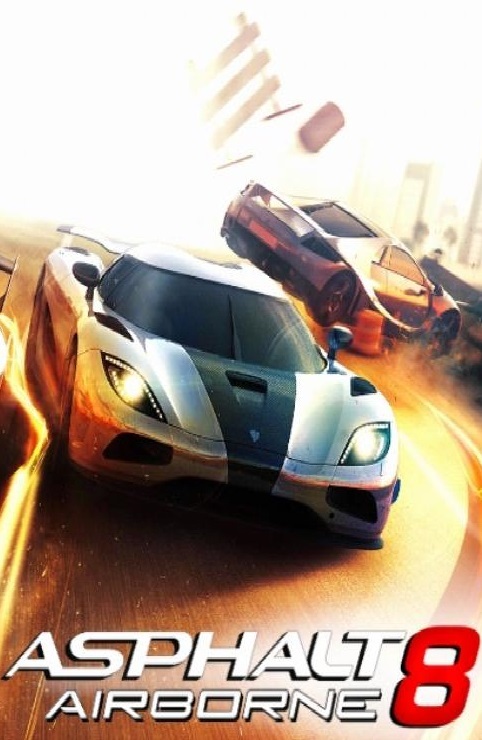 The game features 47 cars, including Lamborghini Veneno, Bugatti Veyron, Ferrari FXX and Pagani Zonda R. the Game has 14 different locations in different parts of the world.